This past weekend, I spent Saturday with the other members of the CMPA painting, chatting, and having a good time. I got some good work in on the beard with some help for Kris (one of our seasoned painters here). After fighting with the beard for ahwile, I asked him what he thought, and he had the same idea I had, but I hadn’t done it yet. So, after chatting I did it. I sketched on the highlights (quite bold and un-blended), and then washed them down. I did that a couple of times, and the beard is coming to shape, but it has a long way to go. 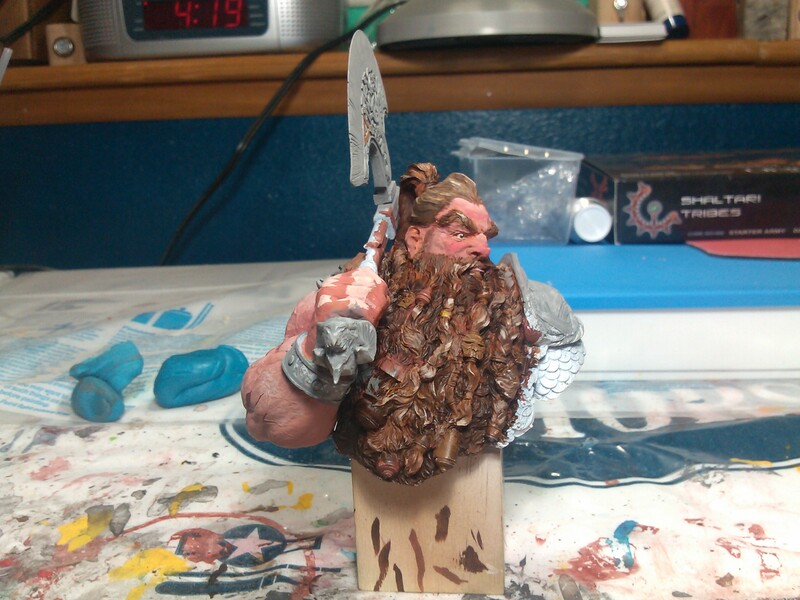 I also ended up washing a deep orange onto the beard which also helped with its depth and “realism.” It has a long way to go still, and there are still quite few spots that have sketched on highlights that need to be toned down. I think I am going to work on his bling next on that beard to help break it up, and to give me more of direction of what is beard and what is not, and to see how the the bling breaks it up. 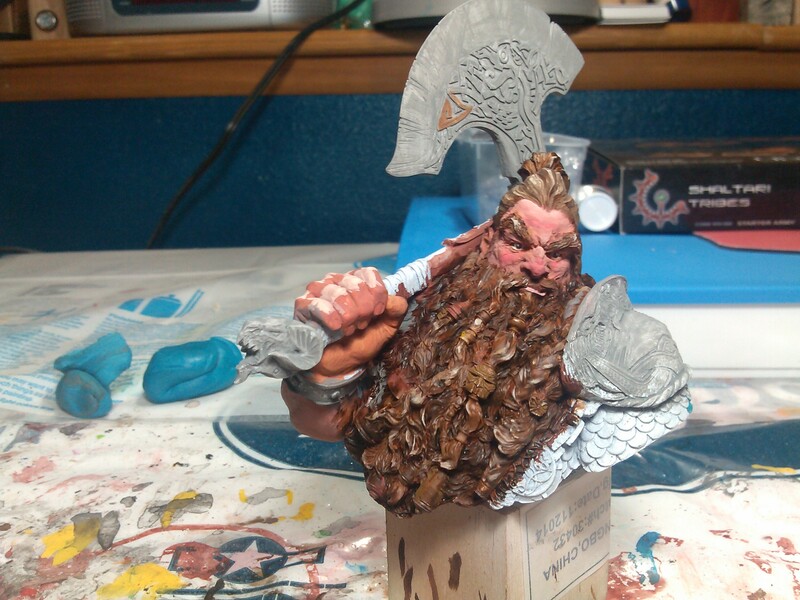 This entry was posted in miniatures painting and tagged cmpa. Bookmark the permalink.